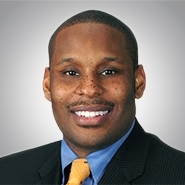 CHICAGO, Ill. — Quarles & Brady LLP is pleased to announce that business advocacy group Chicago United has selected Steven V. Hunter, a member of the firm's Litigation & Dispute Resolution Practice Group, as one of 50 local business executives to be featured in its newest Business Leaders of Color (BLC) publication. Hunter and his fellow honorees will be recognized during Chicago United's Anniversary Gala and Bridge Awards presentation on Thursday, November 9, at the Hilton Chicago. The Chicago United Business Leaders of Color are recognized as individuals who have a proven track record of balanced decision-making and appreciation for multiple perspectives, have a range of experiences that reflect flexibility and the ability to transcend narrow experiences and issues, and have an ability to respect diverse points of view and varied ways to approach issues and topics. The BLC has been released every two years since 2003, highlighting exceptional corporate and civic leaders who currently serve, or are ready to contribute, as board directors for Fortune 1000 companies. Additional past BLC members include First Lady Michelle Obama; Valerie B. Jarrett, senior advisor to President Barack Obama; Don Thompson, CEO of McDonald's Corp.; Amir Shahkarami, CEO of Exelon Nuclear Partners; Luis Sierra, president of BP Aromatics – the Americas, Europe and Middle East at BP; Adela Cepeda, owner and president of A.C. Advisory, Inc.; Sue Ling Gin, founder and CEO of Flying Food Group LLC; and Lou Nieto, board member, AutoZone & Ryder. Kwame Y. Raoul, Quarles & Brady attorney and Illinois State Senator, was an honoree in 2013, and Everett Ward, Quarles & Brady attorney, was an honoree in 2015. Hunter is trial lawyer with first-chair experience representing companies in all phases of litigation and alternative dispute resolution, including discovery, "e-discovery," motions practice, arbitration, mediation, jury trials, bench trials, and appeals. He has represented companies and individuals before various Illinois state and local administrative agencies, companies in breach of contract and business tort disputes, and has also represented pro bono clients in criminal, family law, and political asylum proceedings. He also serves as the pro bono General Counsel of the Northeast Illinois Council of The Boyscouts of America, Inc., on the Leadership Advisory Council of the Art Institute of Chicago, on the President's Council of the Museum of Science and Industry and on the board of the Chicago Childcare Society. Chicago United is an advocacy organization that promotes multiracial leadership in business to advance parity in economic opportunity. Chicago United supports the business community's need to maximize the use of corporate and entrepreneurial talent and brings together diverse senior business leaders to break through barriers and realize the benefits of diversity and inclusion. Chicago United is a premiere business membership organization creating an environment where racially diverse CEOs and executive-level managers can share common experiences to promote multiracial leadership in governance, management, and business partnerships. It delivers best practices for diversity practitioners and fosters relationships among leaders who share common values. For more information, please visit www.chicago-united.org.